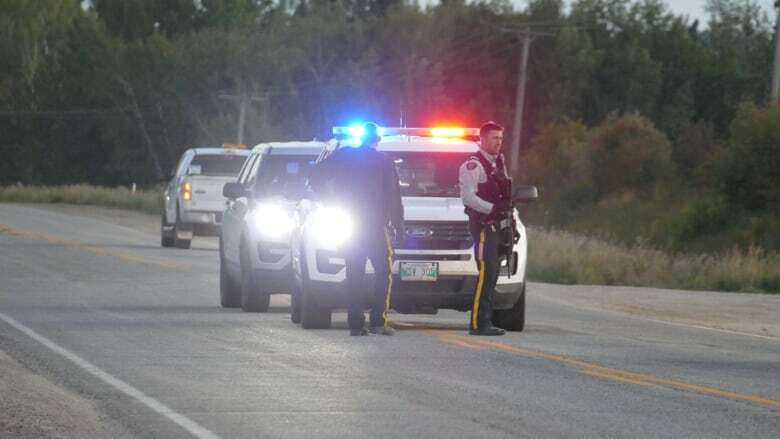 Mounties and police leaders say the shooting of an officer in rural Manitoba on Wednesday night highlights the dangers RCMP officers face on a daily basis. Cpl. 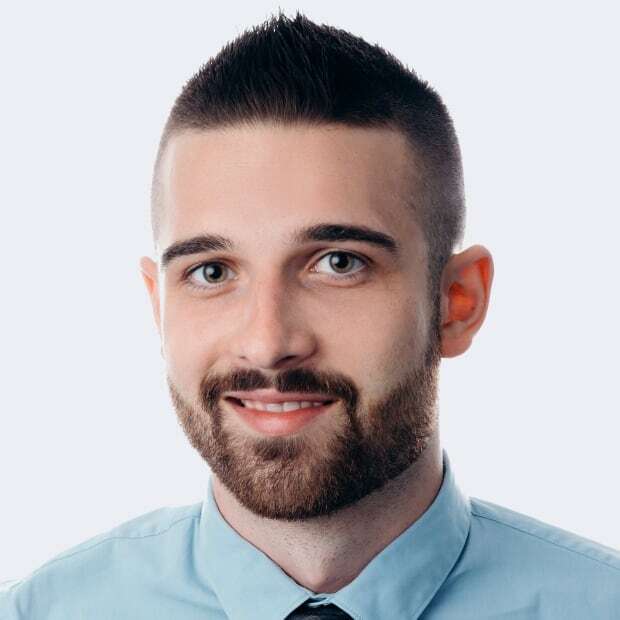 Graeme Kingdon was seriously injured Wednesday after being shot near Onanole while responding to a report of a robbery along with another officer. He is now recovering in a Winnipeg hospital. "People don't seem to understand exactly that every time we go to a call, every time we stop a car, we're potentially risking our lives because we don't know most of the time who we're going to be dealing with," said LP Theriault, president of the Mounted Police Professional Association of Canada (MPPAC). "In a rural environment. you truly are on your own and it just makes things a little more dangerous than typical municipal or city policing," added Pete Merrifield, national co-chair of the National Police Federation, which has applied to represent 18,000 members of the force as a union. 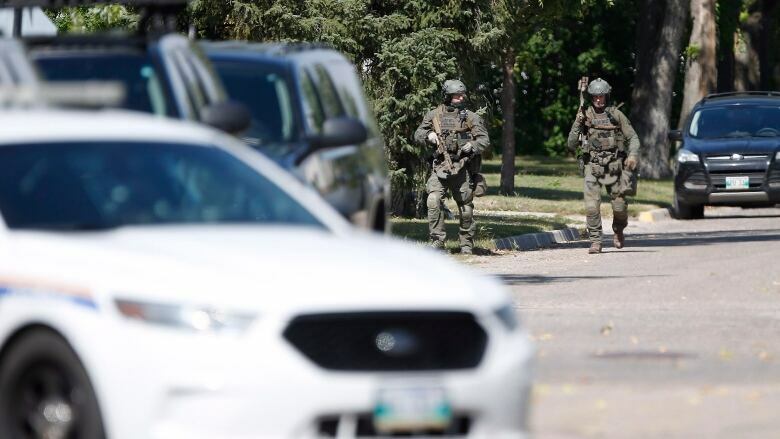 The shooting late Wednesday night rocked rural Manitoba and triggered a manhunt for four suspects that ended Thursday afternoon when all were captured. Theriault, an RCMP officer in Moncton, N.B., said officers from coast to coast were impacted by the shooting. "It gets you cause you're doing the same job, you're wearing the same uniform and say that could happen to me when you see an officer that's getting shot." The fact Kingdon had another officer with him is something Theriault and retired RCMP officer Rob Creasser agree is a blessing and a luxury many rural officers don't have across Canada as the force continues to struggle with staffing. RCMP officers often have to make split-second decisions and decide if they will attend a call alone or wait for backup. "To be quite honest with you, I don't think there's an RCMP detachment in Canada that has the proper resources right now," Creasser, media relations liaison for the MPPAC, said on the phone from Kamloops, B.C. The RCMP said in a statement that officer safety is a top priority for the force. Sgt. Tania Vaughan said in an emailed statement that the RCMP has extensive policies, operational procedures, training and equipment to ensure officers' safety in communities RCMP are in. Vaughan did not respond to concerns raised in this story about staffing levels across the country. Creasser knows what it's like to be alone without backup. In 1991, he was shot at after checking on a vehicle that had been parked on the side of the road. After running the driver's name, he learned the driver was on day parole out of Red Deer, Alta. — many kilometres from where he had pulled the driver over. He said the driver went to his trunk telling him he was getting his day parole pass. Instead, he pulled out a sawed-off .22-calibre rifle and shot at him from about a metre away. "I saw the muzzle flash and realized I didn't feel anything. I kind of fell over the front of the car and saw him running past my police car down the road." He remembers thinking "fight or flight" in the moment while dealing with the rush of adrenalin. The suspect then fled and took his own life. The traffic stop has haunted Creasser to this day. "I suffer from PTSD and you know I have ongoing psychological counselling that helps me, and that's just one event in a long series of traumas that all police officers are exposed to." Creasser, Merrifield and Theriault all say the RCMP needs to beef up staffing throughout the country. "Police officers and the RCMP, like every other police force, do dangerous work, but it doesn't have to be more dangerous because they're not properly equipped and trained and have enough boots on the ground, and the RCMP doesn't have enough boots on the ground."